You depend on your water heater for so much in your home – from cooking to cleaning to washing. So when something goes wrong with it, you need to get it fixed fast. Professional Frederick area water heater repair services from Larry & Sons will have your water heater back up and running as quickly as possible. We work on all types of water heaters and have someone on call at all times because we know water heater emergencies do not always happen during regular business hours. There are several types of problems your water heater may develop. It might not be keeping the water as hot as it should or it can develop cracks and leaks over time. No matter what type of Frederick area water heater repair services you need, our experienced plumbers are up to the task. No job is too big or too small for our professionals to handle, and we can work on both tank and tankless types of water heaters. 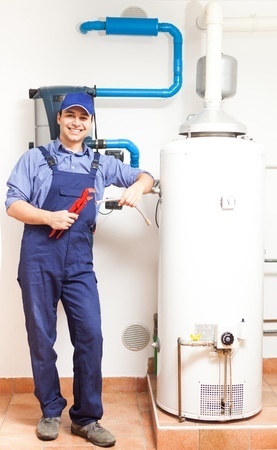 Do You Have a Problem with Your Water Heater? Large leaks are usually obvious, and you should definitely call if you see a puddle of water around your water heater or if you notice it seeping out from some part of the tank or pipe. Water that is not hot in some or all areas of your house is also a sign there may be a problem with your water heater. Sometimes the problem is as simple as residue or minerals building up inside your water heater tank that is inhibiting the heating of the water. This is a hard problem to address on your own, but our professionals have the proper tools and materials to get the job done quickly. The best way to diagnose any issues with your water heater is to call the Frederick water heater professionals at Larry & Sons. While it might be tempting to wait and see if it goes away or to just try and put up with it for a while, chances are that any noticeable problem with your water heater will only worsen over time. The best thing to do when you notice something is wrong is to call a professional Frederick water heater repair technician to address it before it becomes much larger. Larry & Sons offers comprehensive water heater repair services to all of our Hagerstown and Frederick MD area customers. 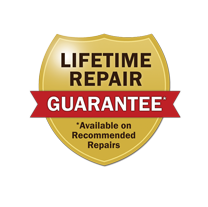 We use only the highest quality tools, parts and equipment, so you can be sure the work we do on your system will hold up over time. So no matter what type of water heater question or concern you have, do not hesitate to give us a call today. Larry & Sons provides top quality plumbing services in Hagerstown, Frederick MD, and the surrounding area.